Puppies Classes from 13.30pm to 14:15pm. Duration of classes: approx 1 hour. 106 Parkside Ave, Memorial Park, Queensburgh, Durban. S29 53 12.7 E30 55 37.4 Co-ordinates for Peace Park entrance. Please drive onto the dirt track alongside the rugby field and through the entrance at the rear onto the lower field. Our classes cover a vast range of subjects including home obedience, responsible dog ownership, socializing, health, grooming. We also teach handlers how to form long lasting bonds with their dogs through positive based reinforcement and correct leadership. We assist on behavioral issues, such a jumping up, mouthing and biting etc. We hold competition and advanced classes for those handlers and dogs wanting to learn a little extra or enter competitions. We run a 10 week puppy course. We accept pups from 8 weeks, but recommend that you consult your Vet regarding exposing your pup to external factors before his or her final puppy vaccination. Following the puppy course, dogs can continue training in the various classes and courses that we offer. We hold regular social events from fun days to beach walks. The club hosts a breed show once a year as well as a working discipline show. 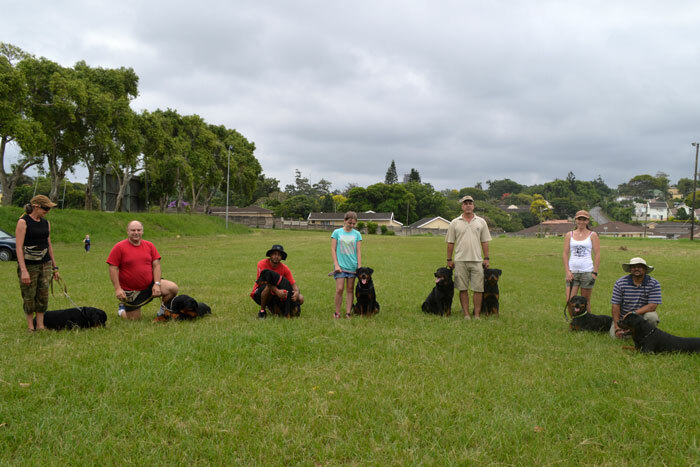 Our trainers have an extensive knowledge amongst them of, not only Rottweilers, but of all breeds of dogs. They volunteer their time and services to the club and have a passion for dogs and love working with them. All breed, shape and size of dog is welcome at our club. Why not pop in to a training session and see what we have to offer? Spectators and visitors are always welcome. Below is a little bit more information on the various disciplines. Breed Showing competitions date back to the 1800’s. It is a competition in which a judge that is familiar with the specific breed of dog, evaluates dogs on how well they conform to the current Breed Standard. Our Club is affiliated to the Kennel Union of Southern Africa and our shows are run under KUSA regulations. Shows can either be a non-championship show, in which any recognised breed of dog may enter, either registered with KUSA or un-registered, or a championship show, in which only KUSA registered dogs may enter. The Show ring is the window on the breed. Learning to show your dog is not easy but it has many rewards. Dog show are attended by Breeders wishing to showcase their dogs and work towards gaining champion status for their dogs. Many people also show for social reasons and enjoy the day out with their dogs. If sufficient Challenge Certificate points are gained at championship shows, the dog is eligible to become a Champion. Your dog’s name then gains the title of Champion (CH) before their registered name. Schedules of forthcoming shows can be found on the KUSA website. The Schedule will provide all details necessary regarding the event. Entry forms are available from the KUSA website or the NRA. Why not go along and watch a show if you are interested, and you could possibly be entering a show in the future with your pooch. 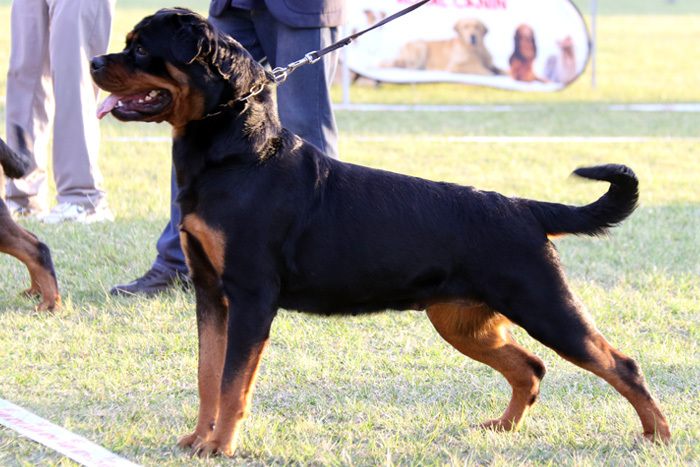 Obedience Shows are held throughout South Africa. Any dog, regardless of breed, can register on the KUSA register and can then compete in an obedience competition. There are many levels of awards which can be obtained, starting from Beginners through to Class C. Dogs which obtain 3 qualifying certificates in Class C are awarded the title of Obedience Champion. Competition includes various exercises which the handler and dog are required to perform and are evaluated according to their skill. Obedience competition is run according to a set of rules are laid out in the KUSA Schedule. A copy of which, can be obtained from the KUSA website or from the NRA. The social side of obedience is great, the big plus is that while enjoying the competition, you will also have a well trained, well behaved obedient dog as a bonus! 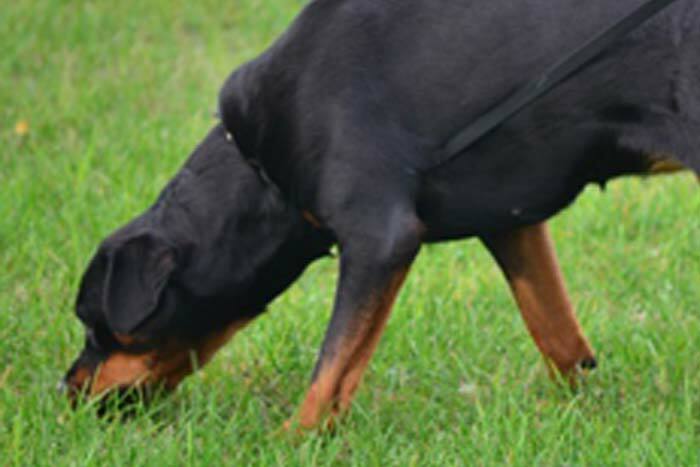 In Tracking, dogs follow a scent trail to find an article. This is a fascinating sport as the dogs are doing something by nature that we humans have little concept of. It is a very rewarding sport for both hander and dog, as it demonstrates the dog’s natural ability to recognise and follow a scent. 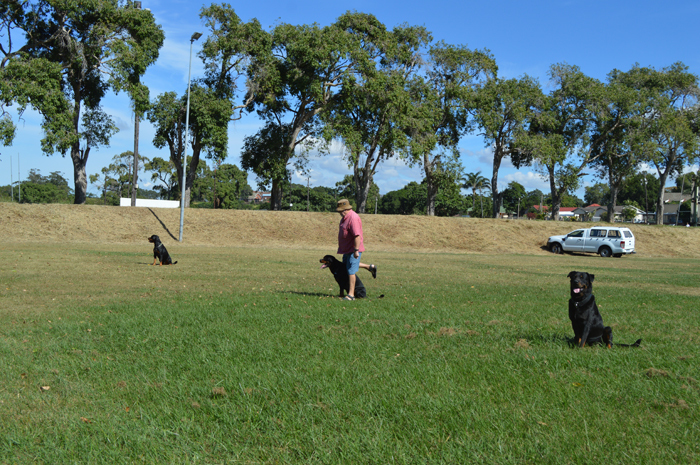 There are different levels of trials which increase in difficulty as the handler and dog progress. Any size and breed of dog can enter a carting competition. 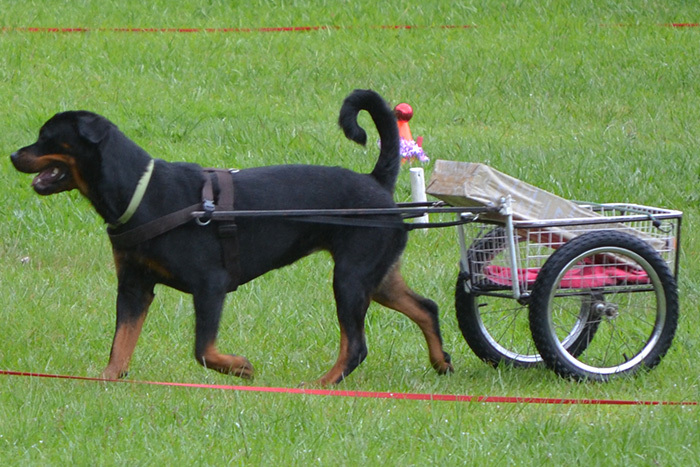 The dogs are required to pull a cart through a course as laid out by the judge. 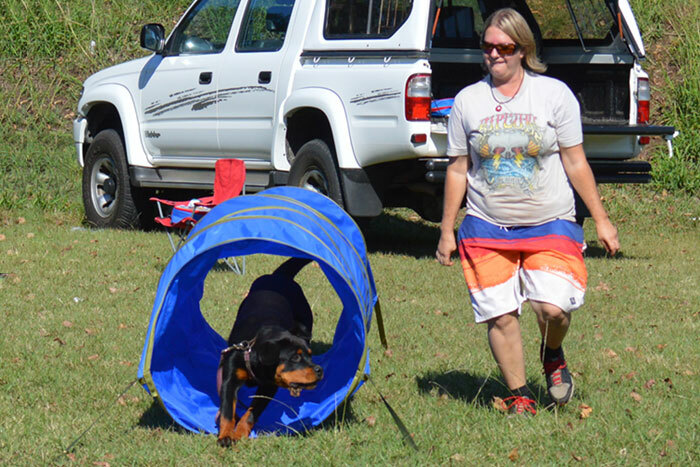 The course contains various obstacles and requires the dog to perform various exercises at handler’s side or away from the handler. Rottweilers, known in the late 1800’s as the Butchers Dog, were used to pull carts, and the breed still has an aptitude and love of pulling carts today. 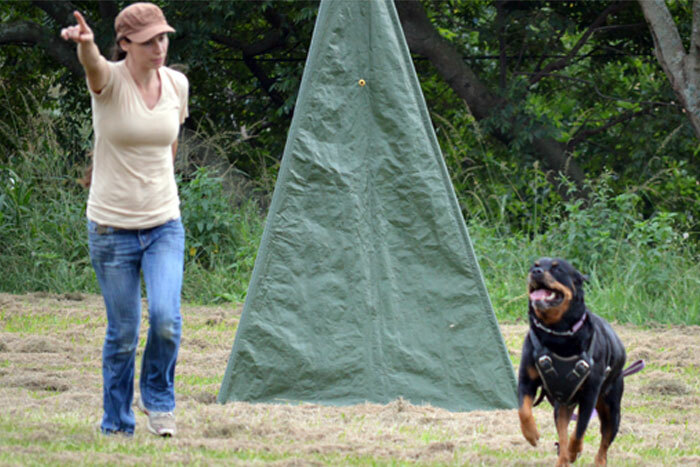 IPO is a three part sport which includes Tracking, Obedience and Protection phases (formally known as Schutzhund). It is a sport which demonstrates the dog's mental stability, temperament, endurance, structural efficiencies, ability to scent, willingness to work, courage, and trainability. Training a dog for IPO can be very time consuming but is extremely rewarding for both dog and handler. There are other various working competitions that are held across South Africa, such as Agility and Dog Jumping, Companion Dog and Field Trials. More information is available on the KUSA website or from the NRA.